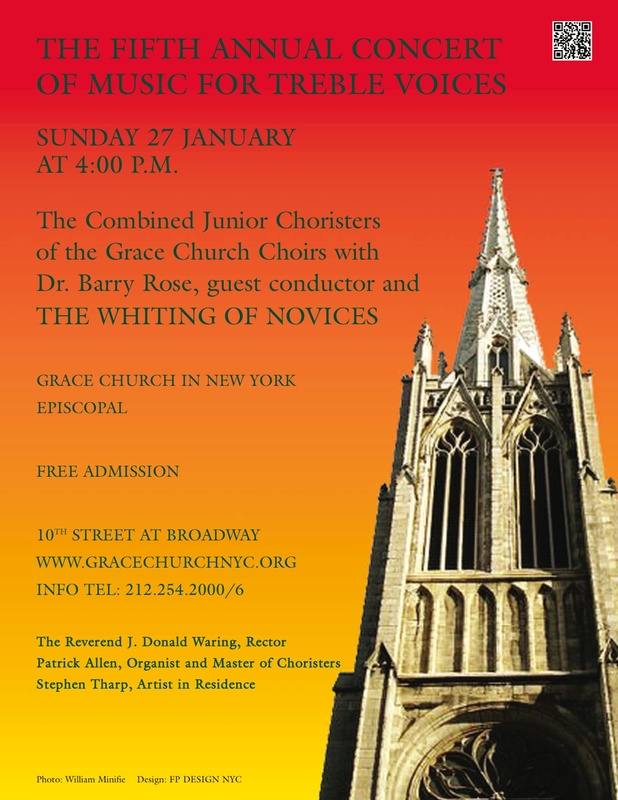 On Sunday 27 January at 4:00 p.m.
We will be celebrating the accomplishments of our Novices who will move up to Junior Chorister rank through The Whiting of Novices ceremony when they are presented with their surplice. Music by Bach, Copland, Dankworth, Rose and Wood among others will be offered. The Choirs will premier a new sacred song cycle written for them by Dr. Rose during the program.